When it comes to personal air purifiers on the market, let’s be honest – manufacturers have been having a hard time striking the right balance between functionality, practicality and a good sleek design. 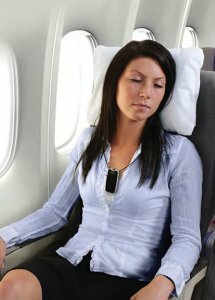 That was until Filter Stream released their “New & Improved” AirTamer A310, rechargeable personal air purifier necklace. 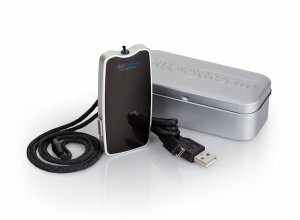 Prior to this release, yes it was possible to find a travel air purifier that was small and looked slick, but none of them could live up to the quality of output AirTamer was known and loved for. Let’s face it, we buy an air purifier firstly for it’s air purification qualities, then perhaps design comes into consideration – not the other way around. You can read more about what an ionic air purifier does and how it can be beneficial on our blog. The previous AirTamer wouldn’t have won any awards for design (a little bulky and needed to continually replace batteries), but it was still winner with the public because it did what it was supposed to do! Now we are in for a treat. 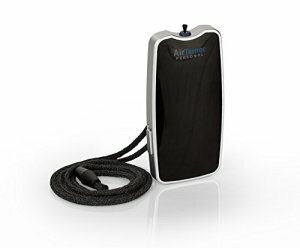 The folks designing the latest AirTamer have made a couple of changes to the practicality and design of the personal air purifier while maintaining the functionality that made them market leaders. Firstly, they have slimmed down the unit by 25%. To do this they have had to make it slightly longer and wider, but overall this has been a great improvement as it now sits flatter against your chest (or in your top pocket) and doesn’t protrude too much. The second improvement is the color scheme, black with silver trim. Sure, beauty is in the eye of the beholder, but this new color scheme is a great step forward in design and now the air purifier looks more like an mp3 player rather than a medic alert pendant. 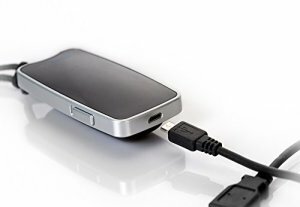 The third and most practical improvement has been the addition of a built-in rechargeable battery. This comes down to convenience more than anything else I think. While each charge won’t last quite as long as a set of batteries in the old model (16% reduction), you can simply plug this one in and get another run out of it.